Japan’s J.League kicked off in 1993 in the hope that the nation could develop its domestic players, as well as attract some high profile international stars. The league was an immediate success attracting dis-interested fans of the most spectated game in the country, baseball. The average attendances in the young league were around the 18,000 mark after only two seasons of play. Despite a promising start, the effects weren't immediately reflected in the results of the national side. The Samurai Blue just missed out on qualifying for USA ‘94 after failing to secure a victory in their final group qualifying game against Iraq. This was despite being reigning AFC Asian Cup Champions. This match is forever known as the “Agony of Doha”, the neutral site where the match was held. The fact that arch rivals South Korea qualified in their place made missing out on the World Cup that much harder to take. Back in the domestic league, the initial surge of interest in the J.League was starting to taper off by the end of the 1990’s and the league was faced with a looming crisis. League management came up with a plan in which clubs could work on building better relationships with local businesses and fans in their communities, to acquire local sponsorships and to help grow football at a grass-roots level. They also introduced a second tier league, J.League Division 2, in 1999 with a promotion and relegation system between it and the top division. The league also worked on improving its home-grown talent in this period and started to turn out some world class players, primarily a young Hidetoshi Nakata who began his career at Kanagawa side Shonan Bellmare. As the number of quality homegrown players increased, Japan found itself in a playoff situation in the France ‘98 Qualifiers, as they had come second behind Korea in their qualifying group. In a winner takes all playoff match against Iran, held in neutral Malaysia, Masayuki Okano scored in extra time to secure qualification. Since then the Samurai Blue has qualified for every World Cup and also won all but one AFC Asian Cups. 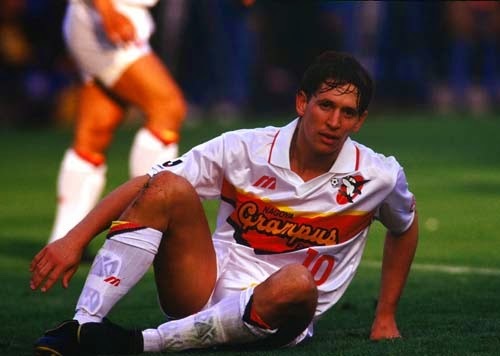 The J.League initially attracted big name International stars like Gary Lineker (Nagoya Grampus 8), Hristo Stoichkov (Kashiwa Reysol) and Ramon Diaz (Yokohama Marinos), but is now starting to turn out its own domestic players to Europe’s top leagues. Of Japan’s National side, 12 of the 23 man squad play in Europe, notably Keisuke Hona (AC Milan), Yuto Nagatomo (Internazionale), Shinji Kagawa (Manchester United) and the Bundesliga’s most improved player Shinji Okazaki (Mainz 05). While most of the attention will be focused on these stars, it goes without saying that cream of the crop from the J.League will be putting in their best efforts to perhaps look for some attention from the rest of the Worlds best club sides. Yoichiro Kakitani (Cerezo Osaka) and Yokohama F.Marinos' Saito Manabu are that top of the J.League’s young talent pool and have already both been linked to moves to the Bundesliga. Kakitani can easily slot in for Honda up front and Saito will likely be used late on for his tremendous dribbling ability. 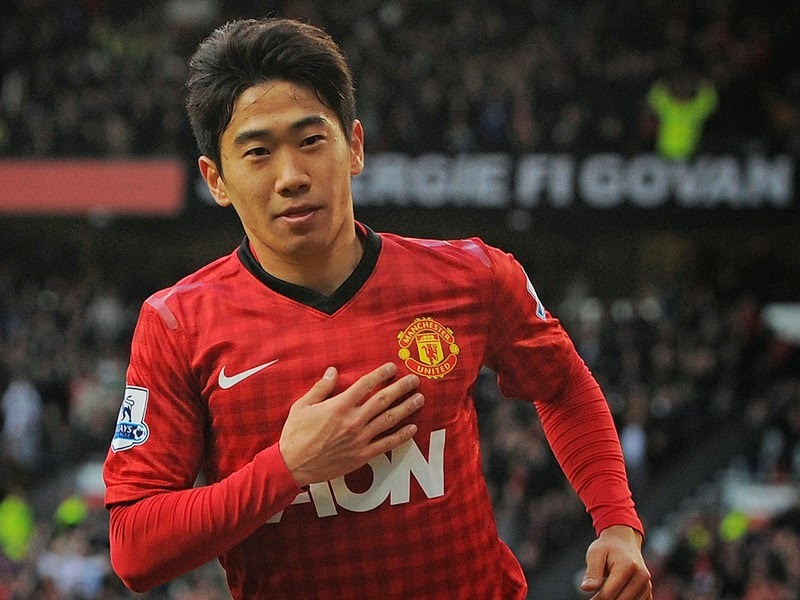 He’s one of the few Japanese Forwards who posses the ability to take on multiple defenders. Drawn in a group with Columbia, Greece, and Cote D’Ivoire in the upcoming World Cup, most of the media world have already dismissed Japan from progressing from their group. The Samurai Blue most certainly have the ability to turn some heads though. The one fault of the group lays in the Defense. Southampton’s Maya Yoshida and Gamba Osaka’s Yasuyuki Konno, the likely Central Defenders looked out of their depth at last year’s Confederation’s Cup. The pairing conceded 7 goals in two matches leading to Japan’s early exit from the competition. Eiji Kawashima of Standard Liege has also been prone to the occasional calamity and some have asked for his understudy Shusaku Nishikawa to be given a chance. While Japan does have some faults at the back they will indeed be a force to be reckoned with in the 2014 World Cup and most certainly be good value for money. Rest assured Japan’s talisman Keisuke Honda will definitely put on a show in the land of Samba. His great skill and desire to win will put Japan in a personally predicted second spot in their group. Daniel Jones is a huge supporter of Yokohama F. Marinos and Japanese football. He is a contributing writer for Tricolore Pride, an English language Marinos site, and for J.Soccer Magazine, a great magazine on all things J.League. Thanks so much! We are trying to expand our range of football coverage to countries all over the globe. 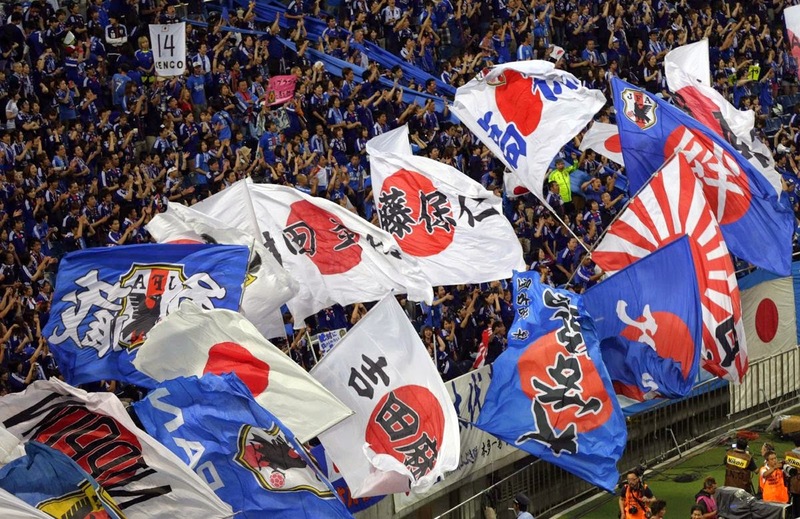 Since the majority of our readers at the moment are either in North America or Europe, we thought it would be a good idea to provide an introduction to the J.League for some of our readers that aren't as familiar with the league and highlight the growth of the national team. We're looking at doing a few more pieces on the J.League, along with other leagues in Asia, Africa, CONCACAF, etc. to go along with the writing we've done on the European and South American leagues so far. I'm glad you enjoyed this article and we really appreciate your feedback!